The Hickman Mills School District could make the decision to close four elementary schools in order to offset a $5.5 million deficit. KANSAS CITY, Mo. — The Hickman Mills School District could make the decision to close four elementary schools in order to offset a $5.5 million deficit. 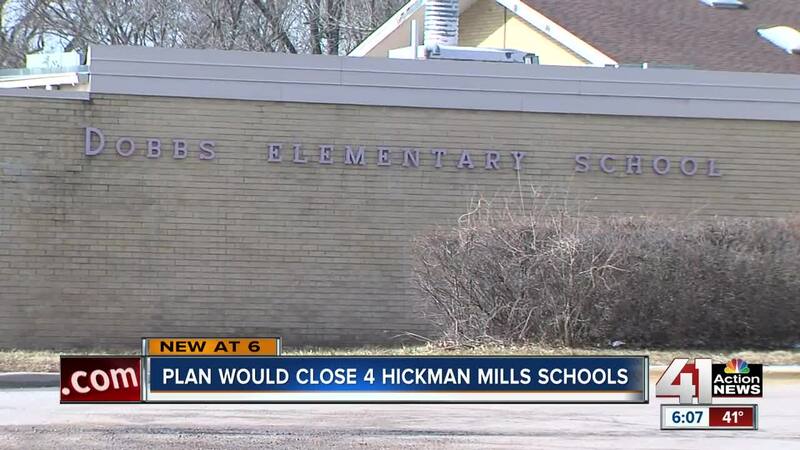 One of the options before the Hickman Mills School Board is to close Truman Elementary, Johnson Elementary, Dobbs Elementary and Symington Elementary. A consultant presented the information at a school board meeting this week. The four schools were chosen based on data that assessed the schools' condition and suitability. Robert Nelson, whose daughters attend Symington Elementary, said that he hopes school leaders choose another option. "It is deep, it is going to hurt the kids a little bit, but I think they can think of another strategy,” Nelson said. The deficit was caused in part by declining enrollment, but another big factor was an error by the county in estimating tax revenue. If the four schools are consolidated, the move will affect 115 teachers and more than 1,400 students. There are other options before the school board, including reconfiguring grades, housing pre-kindergarten at Freda Markley Early Childhood Center and Ervin Early Learning Center, and transitioning Ervin to a neighborhood school for pre-K through fifth grade. The school board will vote on the issue on Feb. 21. The meeting will be held at 6:30 p.m. at the Smith-Hale Middle School and is open to the public.